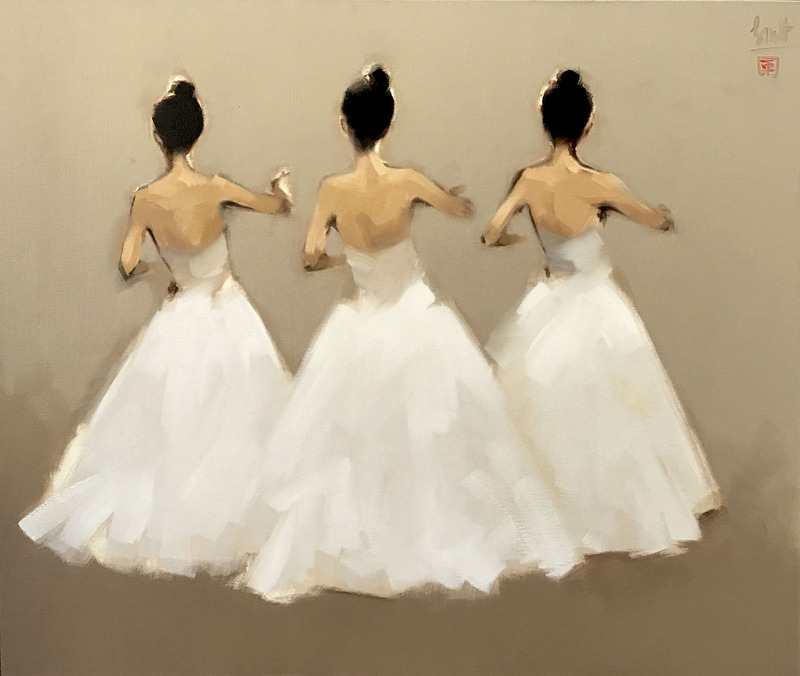 White is one of the most complicated colors in painting, since it isn’t the absence of colors but the combination of all of them. 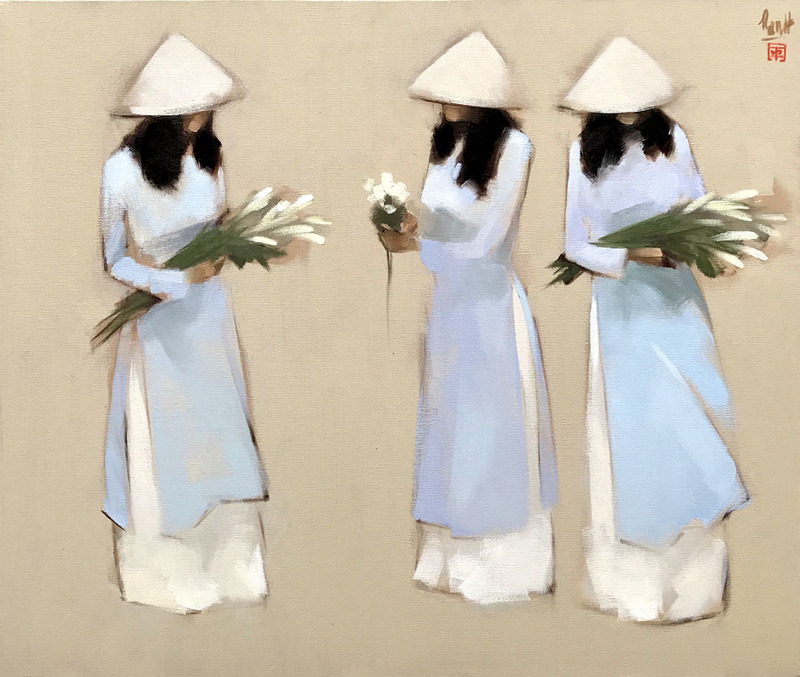 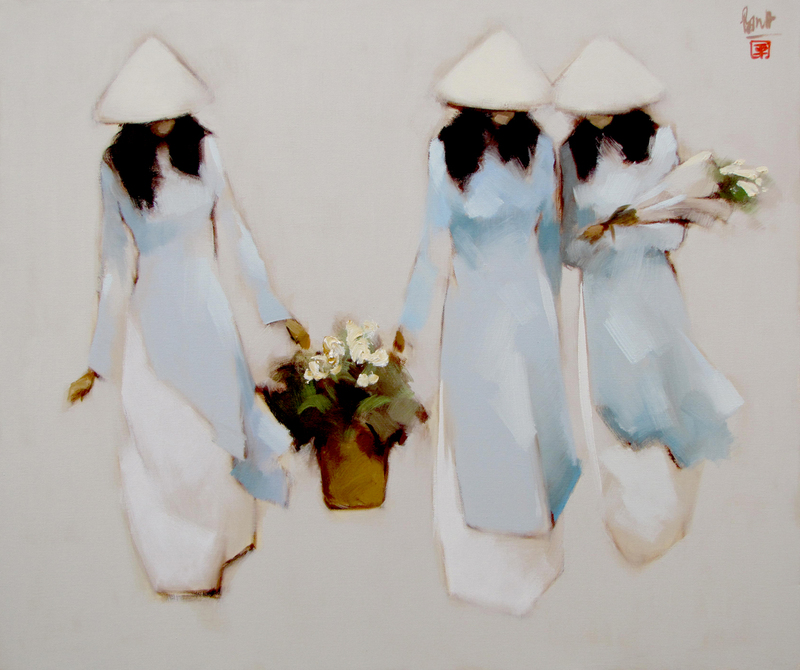 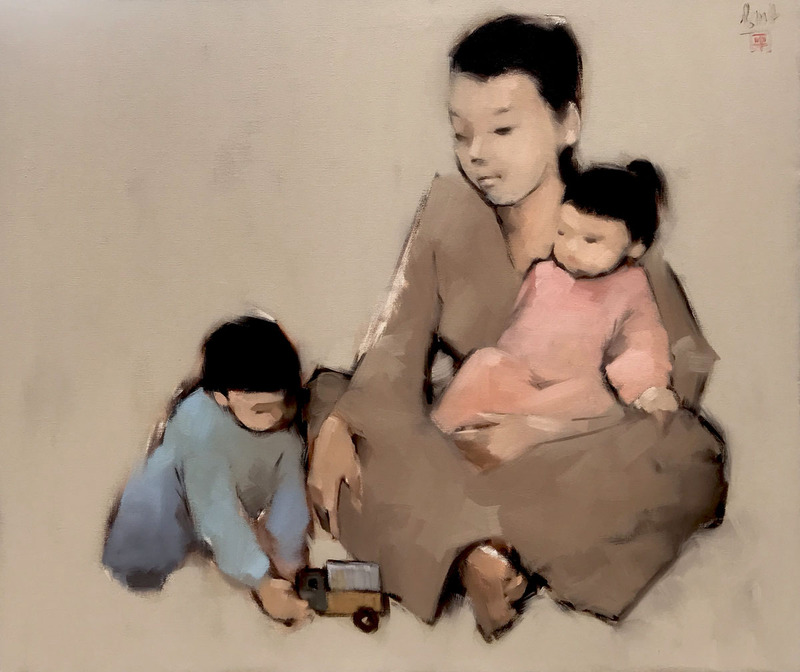 Artist Nguyen Thanh Binh creates a masterful image in white, bluish and grayish shades. 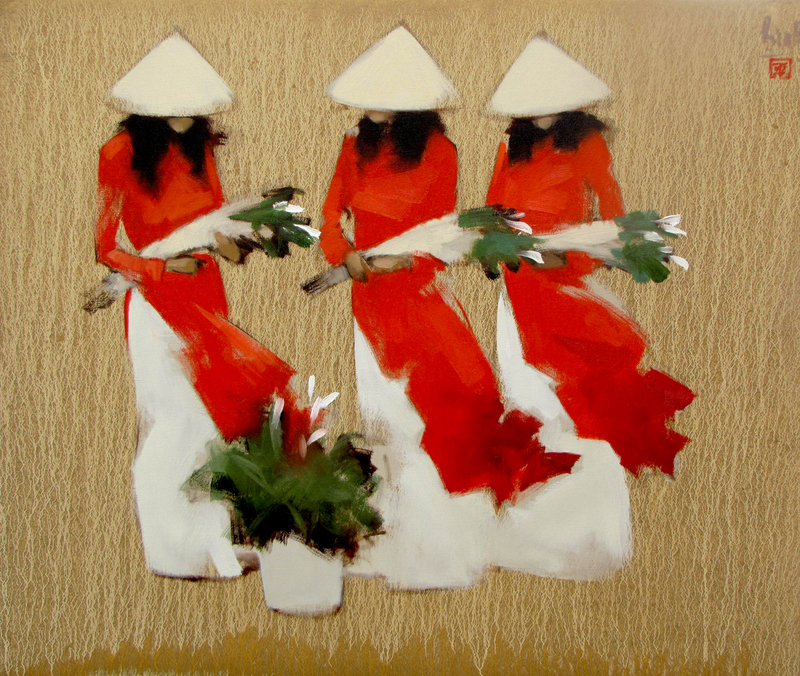 This contemporary Asian painting with its vernal palette and gentle subject (women carrying flowers) make the piece a true source of meditative calmness.